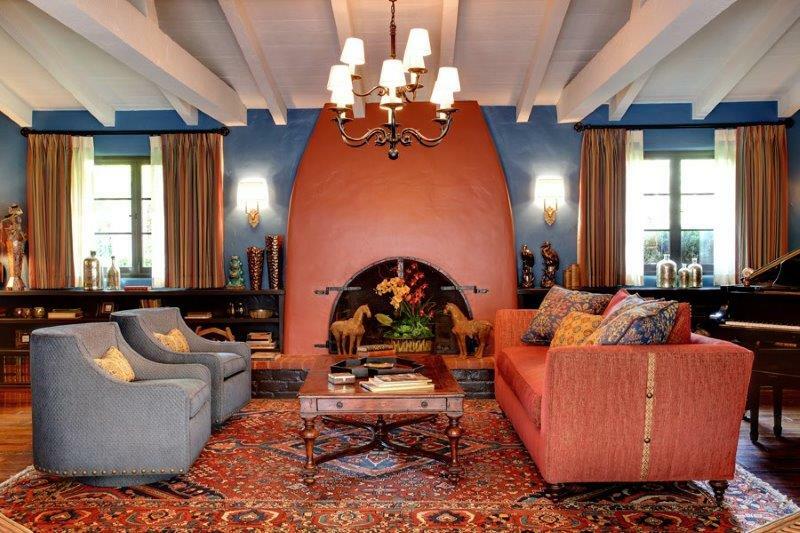 We hired Sara Ingrassia Interiors to assist us with an 18-month remodel/redesign of our 1938 Cliff May hacienda. The project included four bathrooms, a home office, two exterior structures (a studio entertainment room and guest house), outdoor barbecue and patio areas, interior lighting design, window treatments, furniture and a walk-in closet. Sara was fantastic to work with. Our house needed a major injection of color and light, and Sara found creative and inspiring ways to do just that. She got me to go outside of my rather conservative comfort zone, always with beautiful results. I never felt like she forced her vision on me; she was always respectful and collaborative. The end result was a sophisticated yet fun, refined yet livable home that truly reflects our family's style and energy. I would work with her again in a heartbeat. Sara came in and was immediately able to identify and articulate the frustrations I had with my home! She gave me hope! She found a way to give me everything on my wish list without moving a single wall! She is committed to her craft, her client and obsessed with finding solutions. 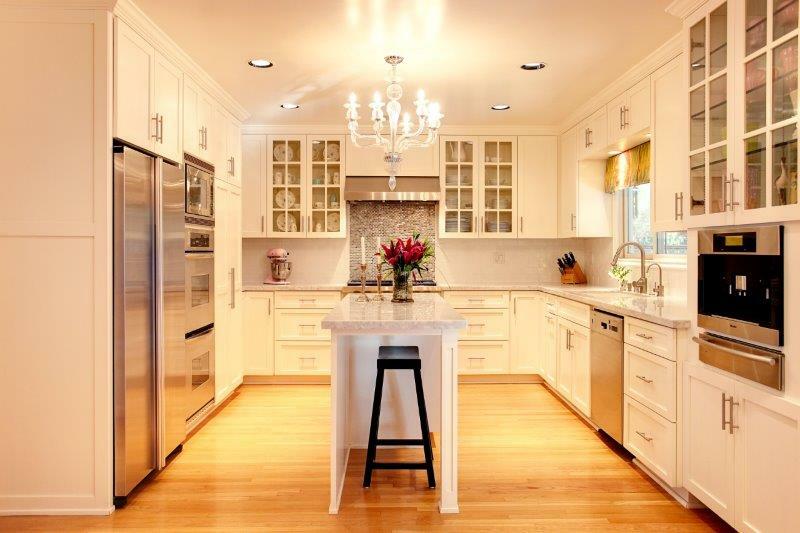 Other design professionals had told me, that there was not room for an island in my kitchen; Sara made it happen! She was able to take a design "flaw" in my family room, a bulkhead that we had contemplated removing and design a fireplace around it that is absolutely stunning. Now the "flaw" is an asset. She took my awkward master bedroom and created a sanctuary for me. She was always available to answer questions and to act as a liaison between my contractor and me. She is extremely practical and straightforward regarding budget and expectations. Working with her was extremely rewarding. 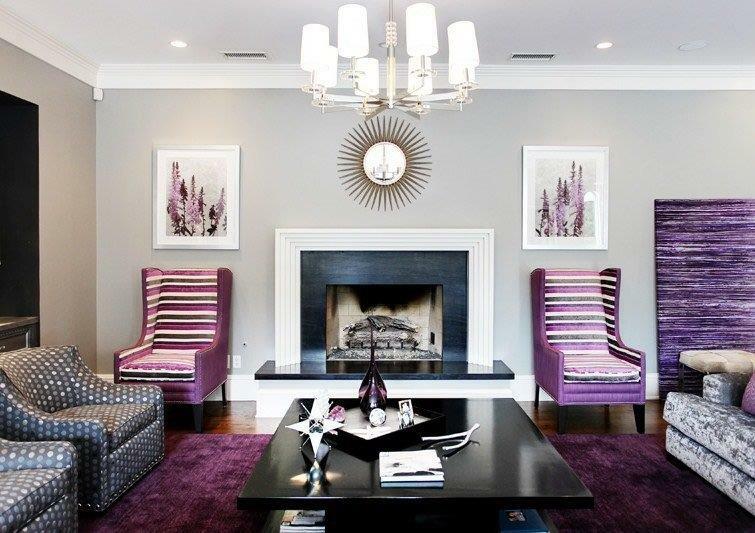 My husband and I began working with Sara Ingrassia Interiors in June 2011. 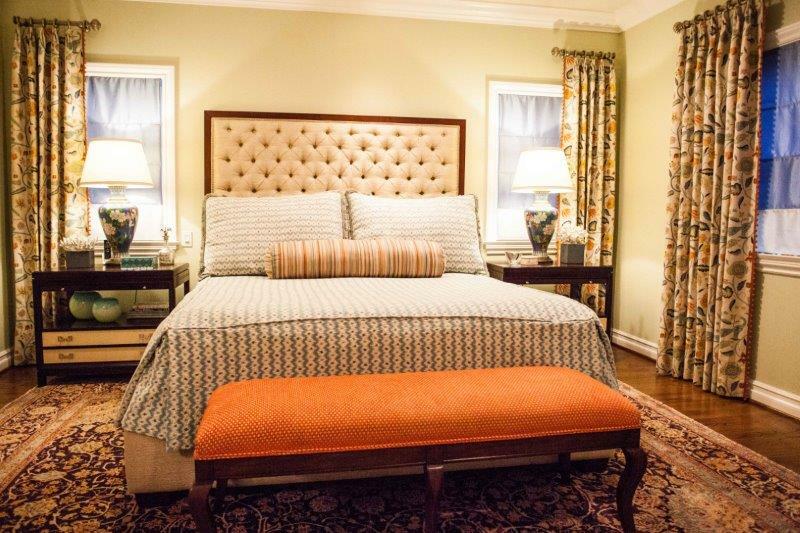 We originally focused on the master bedroom and were so happy with the outcome that she has since designed the library, dining room, and children's bedrooms. The scope of the master bedroom job included custom built-in window seats, tile selection, lighting, store-selected furniture, custom built console with hidden TV-lift for the foot of the bed, wall paper, window treatments and bedding. In each room she has understood our ideas and improved upon them. She brought us fantastic choices that respected budget, functionality and style while still making the process very enjoyable. From her many years working in T.V. and film, she is fast, resourceful and adaptable to many styles. She has been able to blend the items we already had with a variety of furnishing from antiques to inexpensive items to unique custom pieces. The result is a home that lives up to our high design standards and is both easy to live in and to entertain. We are continuing to work with Sara to finish out the other rooms in the house. We hired Sara for a family room remodel. She fully understood the look we were going after and she did an amazing job with the whole project. She has a great eye for color, scale, fabrics, furniture and accessories. She also designs custom furniture. Very reliable, friendly and outgoing, we highly recommend Sara for any interior design service! I hired Sara to decorate my long neglected master bedroom and my husband and I just LOVE the results. Somehow she pulled from me an idea of what I wanted for the room when I didn't even clearly know myself, and proceeded to execute it beautifully. Each time I enter the room, I feel like I have checked into a luxury boutique hotel. It is all just lovely, well-organized and top quality. We enjoyed the process and end result so much so; that we have started on a guest bathroom, formal living room and powder room in addition to our future plans to makeover the dining room. I would highly recommend Sara to anyone no matter what his or her style may be! 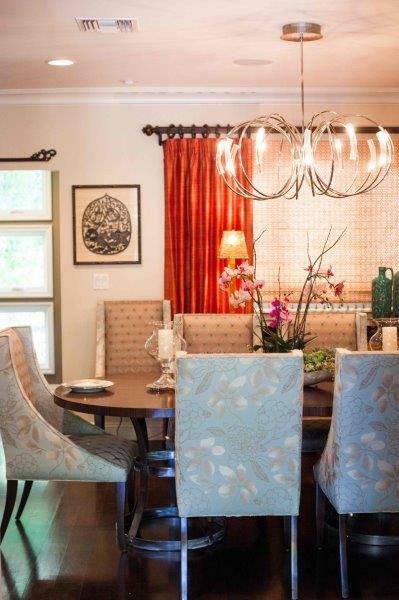 We hired Sara to redesign our family room and we spread into the breakfast nook, dining room and living room. We needed some pizzazz in our otherwise neutral and extremely safe decorating. Sara added colors and textures to our home that we wouldn't have come up with by ourselves. We are ecstatic with the results! Everyone who comes in says our home is so much "warmer" now with the color and we agree. It looks like a completely different home. Now we don't have to move to find what we were looking for! Highly recommend working with Sara. She put up with clients hesitant to change and made us happy! I worked with Sara to redo my living room. It had outdated bland furniture from a previous house and lacked color, flow and interest. When we inherited some family pieces, the room felt very dark and stuffy. Not good for a family with 3 young children in a cozy CA house where the living room also functions as a family room! Sara understood the room needed to work hard as well as be beautiful. 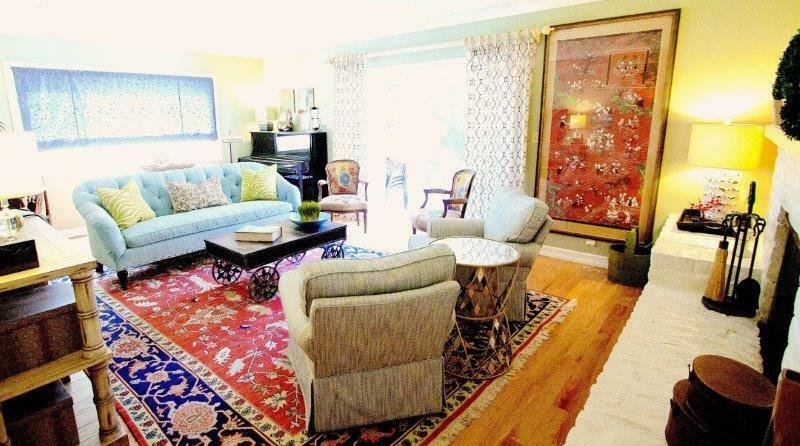 She used my existing carpet as a starting point and created a fun color scheme. 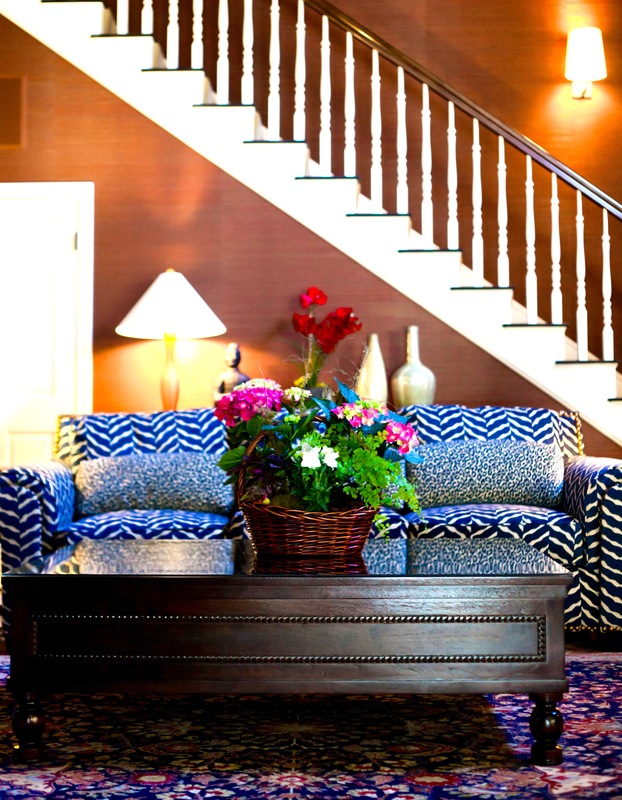 She found a beautiful and comfortable new sofa to anchor the room, reupholstered existing chairs and added drapes. Sara kept an eye on my budget and selected durable fabrics. She also made sure to add storage options for kids' toys. I am completely happy with my new room. It is my favorite room and gets constant use. The kids still play in there but it quickly becomes a grown up room and makes everyone feel comfortable in our home. I would definitely work with Sara again on future projects.